Asian economies in the past three decades have experienced a market-driven economic integration, characterized by a dramatic surge in bilateral investment treaties, foreign direct investments, and a series of voluntary and unilateral tariff reductions. Integrated supply chains within Asian economies made trade barriers much more costly, which provided incentives for the voluntary removal of trade barriers. Economists have labeled the Asian economic integration as a “spontaneous cooperation” because it has progressed so far without a region-wide Free Trade Agreement (FTA). Instead, a series of bilateral FTAs have helped to accelerate economic cooperation and growth. In 1993, only 14 FTAs had been implemented by Asian countries, 6 of which were signed by countries currently negotiating in the Regional Comprehensive Economic Partnership (RCEP). As of 2013, Asian countries implemented 109 FTAs, and 67 of these agreements were entered into force by RCEP countries. Meanwhile, intra-regional trade within RCEP countries steadily increased from 34.4% in 1990 to 44.5% in 2011. Intermediate goods accounted for 57% of intra-RCEP trade in 2011, which suggests a significant amount of goods are being made in “Factory Asia.” Asian economies have increased its global share in both intermediate and final goods trade, become an essential part of global supply chains, and better integrated within its own region and the external global market. Asian FTAs vary widely in quality, and South Korea stands out in particular as an active seeker and beneficiary of ambitious trade agreements. As of 2013, South Korea successfully implemented 9 FTAs with 47 countries. There are also currently 7 under negotiation, and 7 more for proposed consultation and study. The scope of South Korea’s FTAs with the U.S. and the EU has been particularly comprehensive, providing for short tariff phase-outs, not to mention the extensive coverage of trade issues with “WTO-plus” quality provisions. The obvious benefit of these FTAs has been improved market access. While South Korea itself only accounts for 1.6% of the world GDP, its FTAs under implementation have allowed South Korean businesses to gain preferential access to 56.2% (nominal GDP) of global markets. In comparison, China and Japan have fairly limited FTA access of 16.2% and 17.1%, respectively. The proportion of South Korean trade with FTA partners has grown from 13.8% in 2009 to 35.3% in 2013. It is expected to increase further once FTAs that are currently under negotiation are concluded and implemented, most notably the South Korea-China FTA and the RCEP. Despite successes, the limitations of market-driven integration and inefficiencies of overlapping Asian FTAs have led to proposals of comprehensive region-wide integration policies. Opinions diverge on the prospects of regional policy initiatives. For example, Fred Bergsten of the Peterson Institute viewed that East Asia is clearly moving towards regional economic integration. On the other hand, Razeen Sally from Lee Kuan Yew School of Public Policy at the National University of Singapore and ECIPE has warned that ambitious regional integration initiatives are inadvisable and unachievable. Despite differing views, policy efforts are unmistakably geared towards consolidating integration through FTAs. Hence, rather than debating whether Asia should attempt integration policies, discussions are now being focused on whether ambitious regional FTA negotiations, particularly the region-wide initiatives of Trans-Pacific Partnership (TPP) and RCEP, will lead to rivalry or convergence. The two initiatives differ in many aspects, including the progress of the negotiations, but one thing is clear: there is a recognition that meaningful FTAs must concentrate not only on tariff reduction, but also on more comprehensive trade norms—including investment, services, intellectual property, and state-owned enterprises (SOEs)–to ensure high levels of international trade rules. The scope and comprehensiveness of FTAs determine their benefits. Some comparisons of Asian FTAs may be useful for demonstrating this point. The Korea-US FTA(KORUS FTA) eliminated 80% of tariffs immediately and will almost completely remove tariffs within 5 years, while the China-New Zealand FTA signed in 2008 call for its tariff agreements to be slowly phased in over 12 years, fully entering into force in 2019. The ASEAN Free Trade Area so far covers 44% of goods in trade, but has seen little progress in services, investments, non-tariff barriers and standard harmonization. In contrast, 100% of goods are covered in the KORUS FTA, and 81% are covered under the Korea-Singapore FTA. South Korea’s pursuit of ambitious and comprehensive FTAs has enabled significant economic integration with its FTA partners. The South Korean experience with high-standard and comprehensive FTAs have critical implications for the region and its integration policy efforts. The benefits of comprehensive and high-level FTAs are easy to observe. Positive outcomes include better access to promising markets, improvements in regulations, harmonized standards on automobiles and food quality, and so forth. High-quality regional FTA efforts can make Asian economies more competitive and better positioned in 21st century global value chains. FACE GENOCIDE THE CRYSTAL SEAL OF ‪#‎MANI‬ THE #GNOSTIC APPEARS. The rock crystal is flat on one side and rounded on the other, with a sunken carving on one half creating a positive image on the opposite side. 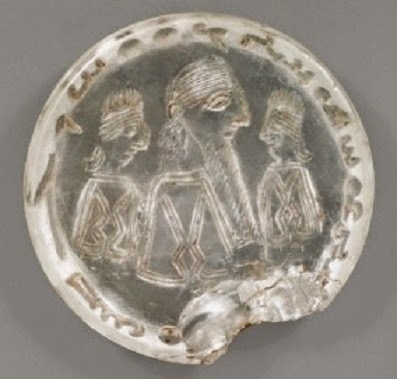 Mani is flanked by two people, possibly disciples, and an inscription reading 'Mani, apostle of Jesus Christ' forms the perimeter. "The drills of the time used wound strings to spin a point to create an even carving," Gulacsi said. Gulacsi thinks Mani wore his crystal seal as a pendant, a practice of that time. The prophet's only known surviving artifact is about the size of a quarter; the thin quartz seal was likely once encased in gold to facilitate its use. 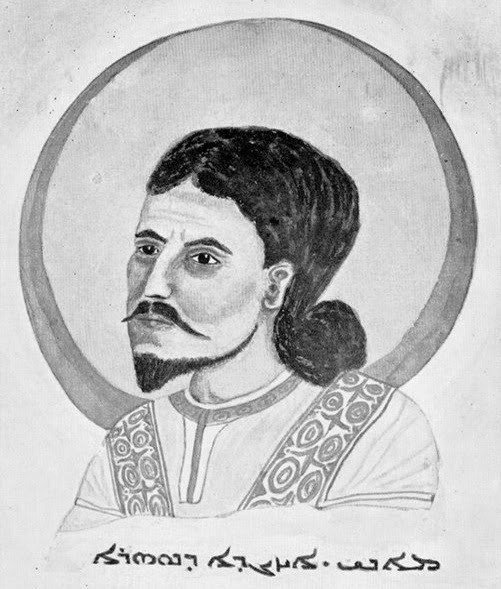 Mani, a Persian born in 216, established Manichaeism, a religion drawing from the era's dominant religions, including Zoroastrianism and Christianity. Mani stood out among religious leaders of the time, Gulacsi said, because he wrote his own doctrine, compared to Jesus, Mohammad and the historical Buddha who were not known to read or write. The engraved crystal seal was used to authenticate Mani's writings and correspondence. According to Gulacsi, Mani believed other religious leaders had their teachings distorted because they could not write themselves. "Their disciples did not have the capacity of a prophet, whose clarity of religious insight was believed to surpass that of ordinary human beings," Gulacsi said. In 274, Mani died in prison after being persecuted for his religious teachings. His belongings were likely passed to his successor, but the fate of the crystal seal is not known until it turned up in Paris in 1896, where it was purchased and housed in the gemstone section of the National Library of France. Despite its historical significance, Mani's engraved crystal seal had escaped attention until recently. Gulacsi has researched and written about the seal, including an article just published in the Bulletin of the Asia Institute.